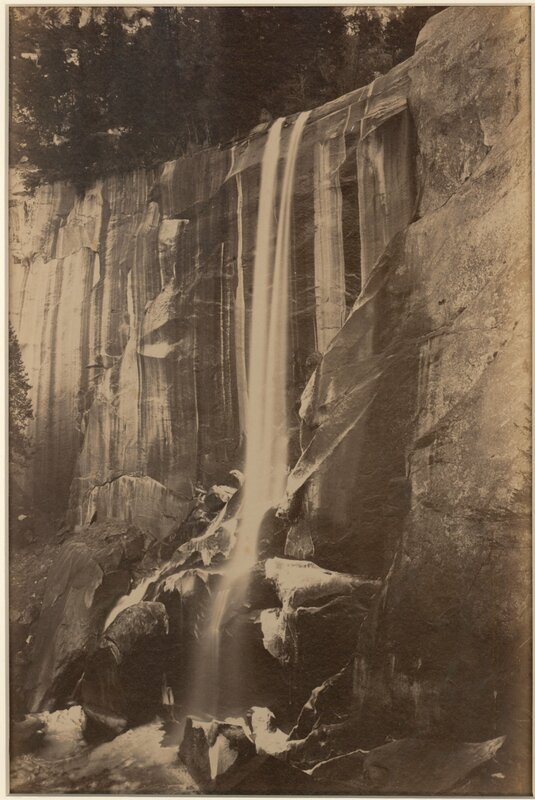 Description: Vernal Fall, Yosemite – 350 feet. Archival mat. Photographed by Carleton Watkins and published by Taber.